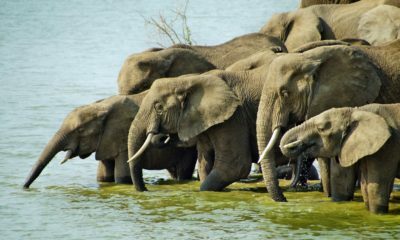 Tarangire National Park's single biggest attraction is undoubtedly its large herds of elephants. 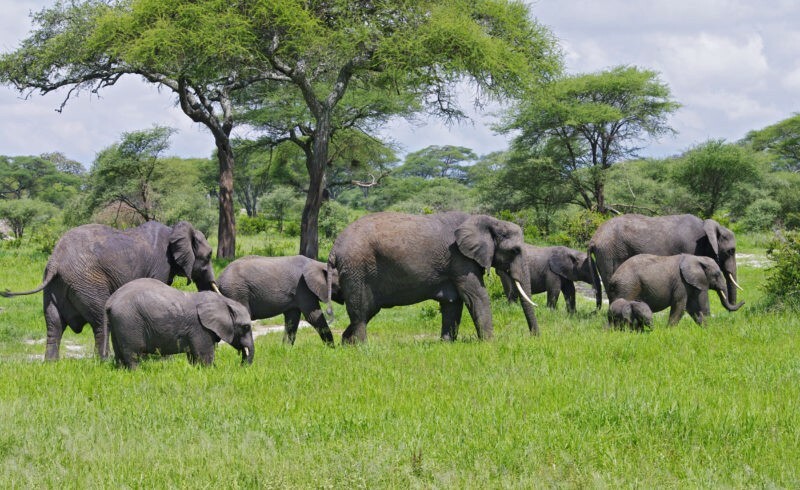 In fact, Tarangire is home to Tanzania's largest population of elephants. If seeing a big tusker or a family of elephants is on your safari bucket list, Tarangire should be on your safari itinerary. With its unique landscape of red earth, towering baobab trees, and beautiful acacia, Tarangire is a photographer's dream. With a plenty of Tarangire accommodation to choose from, adding a Tarangire game drive to your safari is a piece of cake! 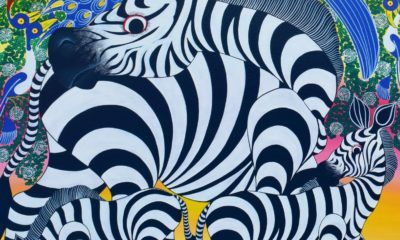 The iconic 'Big Five' consists of the African elephant, rhinoceros (black or white), lions, leopards, and the ubiquitous buffalo. 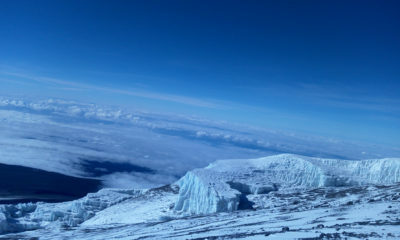 While many parks in Tanzania can boast one or more of these instantly recognisable animals, endangered wildlife such as leopards and rhinoceros can be difficult to find. 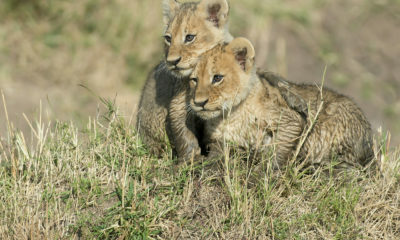 Tarangire National Park is home to four of the Big Five, with rhinoceros being the notable absence. Leopards, at home in the densely wooded park, can often be difficult to spot. 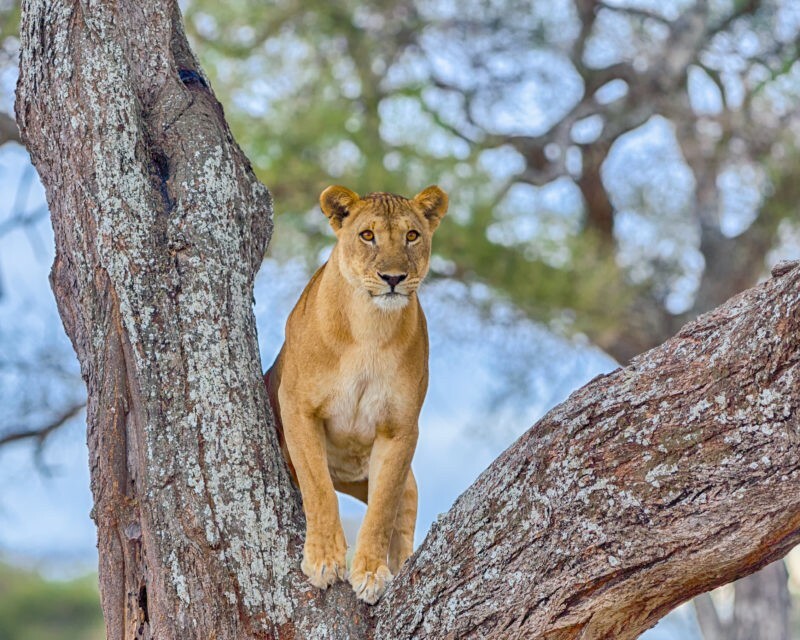 Lions and buffalo are common in Tarangire National Park, and it's a rare day that a visitor does not see a prowling lion or a grazing buffalo during their game drive. It is Tarangire's elephant population that makes it a must-see park, with the big mammals so common that you'll almost get tired of them by day's end. Visiting Tarangire during the dry season gives you your best chance to see these four members of the Big Five, as water scarcity forces animals to congregate near the Tarangire River. The lack of water also means that vegetation thins, allowing you to spot leopards and lions more easily than in the verdant rainy season. 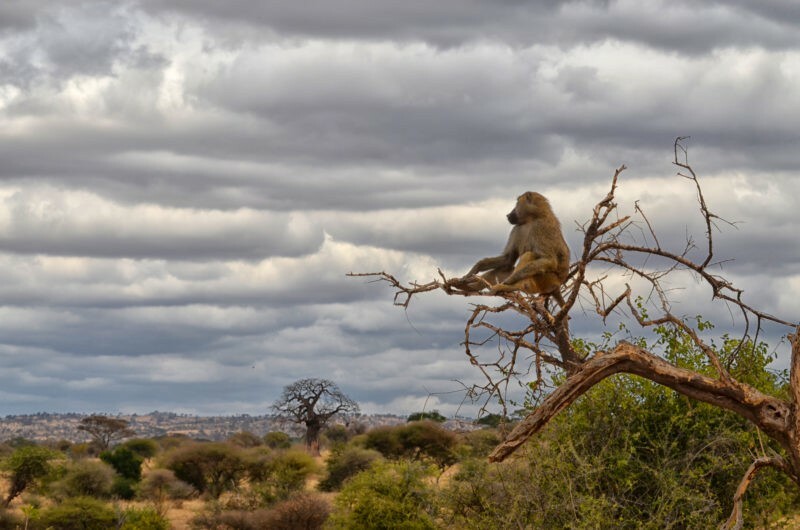 Large troupes of baboons are a common sight in Tarangire National Park, and people wishing to photograph these brightly coloured primates can often find them frolicking in puddles or prowling by the game trail. Tanzania's other famous primate resident is the mischievous Vervet Monkey. These trouble-making little guys often congregate around the picnic areas and aren't above a bit of thievery if you leave your meal unguarded. Watch out for mothers with cute babies acting as a distraction while other monkeys sneak around behind you and make off with your sandwich! During the dry season, Tarangire's reputation as one of the only reliable sources of water in the region means it attracts plenty of wildlife. 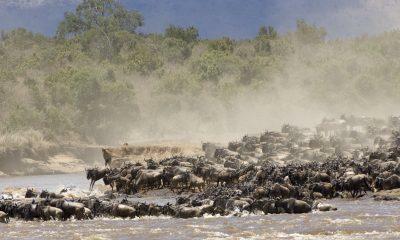 Migratory animals such as giraffes, zebras, wildebeest, and various species of antelope make their way into Tarangire to drink from the Tarangire River and attached swamplands. Gigantic hippopotamus also like to wallow in the park's swamps, and they're especially easy to spot when dry season dries up their hiding places. 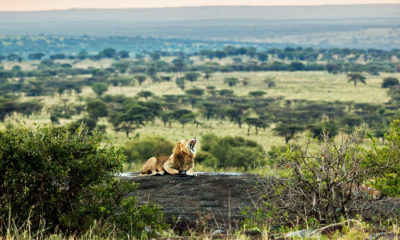 While lions are a common sight in Tarangire, leopards and cheetahs are less commonly spotted. Cheetahs, in particular, find it difficult hunting in the densely wooded park where their speed is nullified. The endangered African wild dog can occasionally be spotted in less crowded areas of the park too. 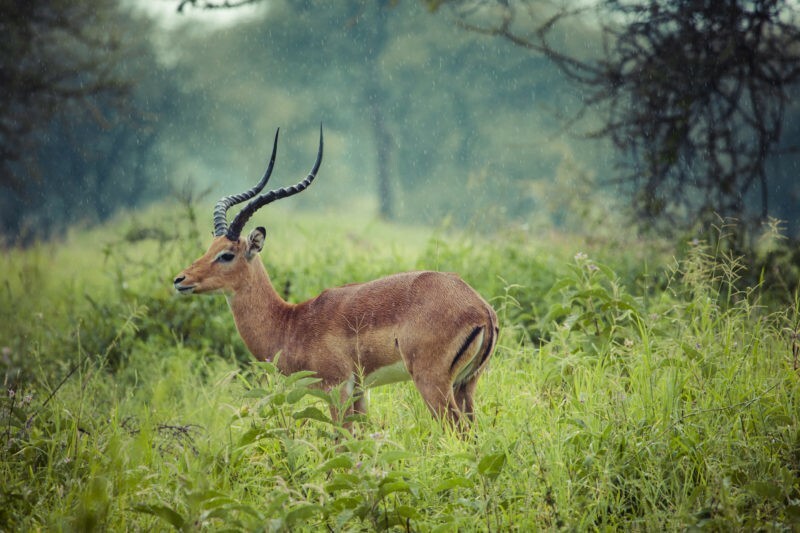 The long-necked gerenuk and the beautiful fringe-eared oryx are most commonly spotted in Tarangire National Park, making it a great place to go if you're looking for some less common wildlife to check off your list. Massive pythons can occasionally be seen in Tarangire, especially when the swamps have dried up and they are forced to seek shelter elsewhere. 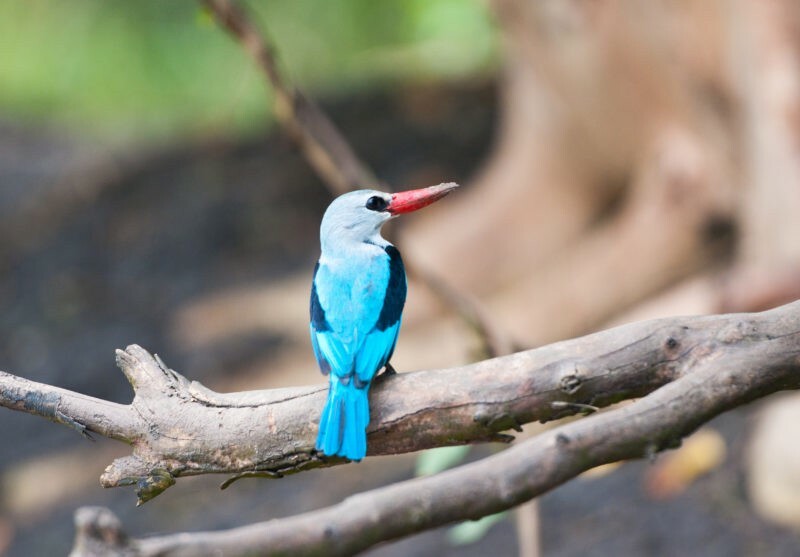 While most people visit Tarangire National Park during the dry season for wildlife viewing, it is during the wet season that Tarangire comes alive for birding enthusiasts. The park's swamps are home to more than 500 species of bird during the wet season, making it a haven for bird-watching enthusiasts. Notable residents of Tarangire National Park include the Ashy Starling, Tawny Eagle, Red & Yellow Barbet, Northern Pied Babbler, and many more. You can check out Asilia Africa's fantastic birding guide for more information. 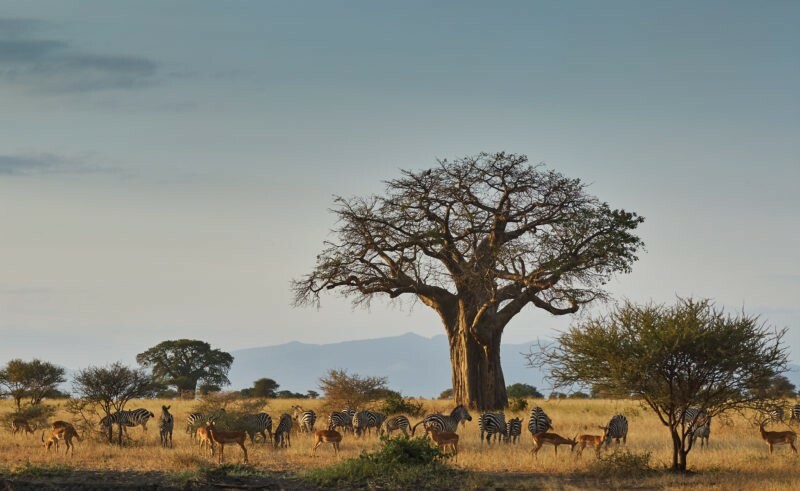 Another distinctive feature of Tarangire National Park is its plant-life, with the iconic baobab and acacia both common sights in the forested park. Sometimes known as the 'tree of life', the baobab tree is one of the most enduring symbols of Africa. The African baobab is the largest of the eight species in the world, and Tarangire is the best place in Tanzania (alongside Ruaha) to see this stunning tree up close. Able to hold more than 100,000 litres of water in their bloated trunks, they're perfectly suited to Tarangire's long dry seasons. 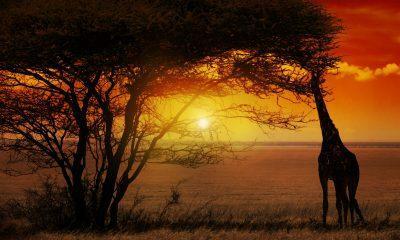 Africa's other famous tree, the acacia (particularly the umbrella thorn) is perhaps one of the most photographed species of tree in the world. A vital part of the food chain and adapted to the harsh African conditions, acacia can be seen across Tanzania and especially in Tarangire National Park. If you're looking to photograph animals against instantly recognisable backdrops, Tarangire's baobab and acacia are the perfect choice! 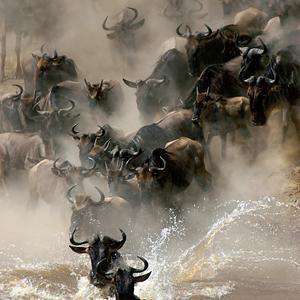 This entry was posted in Tanzania Attractions, Tanzania, Tanzania and tagged tarangire wildlife, tarangire big 5, animals tarangire national park.